End your search for new cars for sale and head to Rodland Toyota in Everett, Washington! 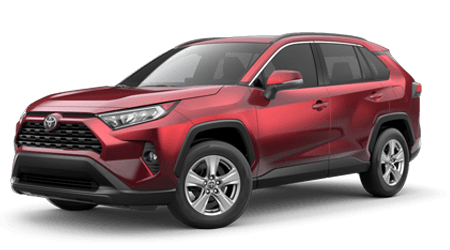 Our car dealership near Mukilteo has commanding 2018 Toyota Highlander vehicles for sale, all of which are priced competitively. Our sales department is knowledgeable on all eight models that are included in the model lineup, as well as the comprehensive ToyotaCare roadside assistance and maintenance plan that all new Toyota models come backed by, so don't hesitate to visit us to learn more about this high-tech ride. Before dropping by, we invite you to browse our inventory right here on our website to get a feel for the options available. If you're interested in securing one of these 2018 models, don't hesitate to complete one of our Rodland Toyota credit applications. We offer the professional loan assistance that you deserve so that you can easily take home the 2018 Highlander trim that fulfills all of your on-road requirements. Learn all about the benefits that come from owning a 2018 Toyota Highlander, visit Rodland Toyota near Mill Creek, Washington today. Our sales professionals will happily listen to your needs and present you with the trims that complement not only your needs but your lifestyle. How does the 2018 Toyota Highlander compare to a similar model, the 2018 Ford Focus? Let's find out! Both vehicles are classified as sport utility vehicles but it's the Toyota that immediately pulls ahead by offering a standard towing capacity of 5,000 pounds, whereas the Ford offers 2,000. The Toyota Highlander also boasts a CD player as a standard feature, as well automatic climate control, an interior day/night electrochromic rearview mirror, and separate driver/front passenger climate controls, all of which will cost you extra should you opt for the comparable Ford Focus trim model. When compared to the 2018 Honda Pilot, the Toyota Highlander yet again stands out with ease. While both models have bodyside/cab step or running boards and a cargo area cover as an optional feature, it's the 2018 Toyota Highlander that boasts heated exterior mirrors, a navigation system, MP3 player, and on open liftgate window, all of which are features that are simply not available on the Honda Pilot. Further explore the many benefits and perks that come with being a 2018 Toyota Highlander owner, contact our new and used Toyota dealership in Everett, WA now! Radio and Technology: Entune™ Premium Audio with Integrated Navigation and App Suite — includes Entune™ Multimedia Bundle (8-in. high-resolution touch-screen with split-screen display, AM/FM CD player, MP3/WMA playback capability, six speakers, auxiliary audio jack, USB 2.0 port with iPod® connectivity and control, advanced voice recognition, hands-free phone capability, phone book access and music streaming via Bluetooth® wireless technology), Siri® Eyes Free, Entune® App Suite, Intelligent Touch controls, SiriusXM® Satellite Radio with 3-month complimentary SiriusXM All Access trial, HD Radio™ Technology, HD Radio™ Predictive Traffic and Doppler Weather overlay, AM/FM cache radio, Gracenote® album cover art and integrated backup camera display with projected path. Access to Entune® App Suite is subscription-free. See toyota.com/entune for details. Radio and Technology: Entune™ Premium JBL® Audio with Integrated Navigation and App Suite — includes Entune™ Multimedia Bundle (8-in. high-resolution touch-screen with split-screen display, AM/FM CD player, MP3/WMA playback capability, 12 JBL® GreenEdge™ speakers, auxiliary audio jack, USB 2.0 port with iPod® connectivity and control, advanced voice recognition, hands-free phone capability, phone book access and music streaming via Bluetooth® wireless technology), Siri® Eyes Free, Entune® App Suite, Intelligent Touch controls, SiriusXM® Satellite Radio with 3-month complimentary SiriusXM All Access trial, HD Radio™ Technology, HD Radio™ Predictive Traffic and Doppler Weather overlay, AM/FM cache radio, Gracenote® album cover art and integrated backup camera display with dynamic gridlines. Access to Entune® App Suite is subscription-free. See toyota.com/entune for details.